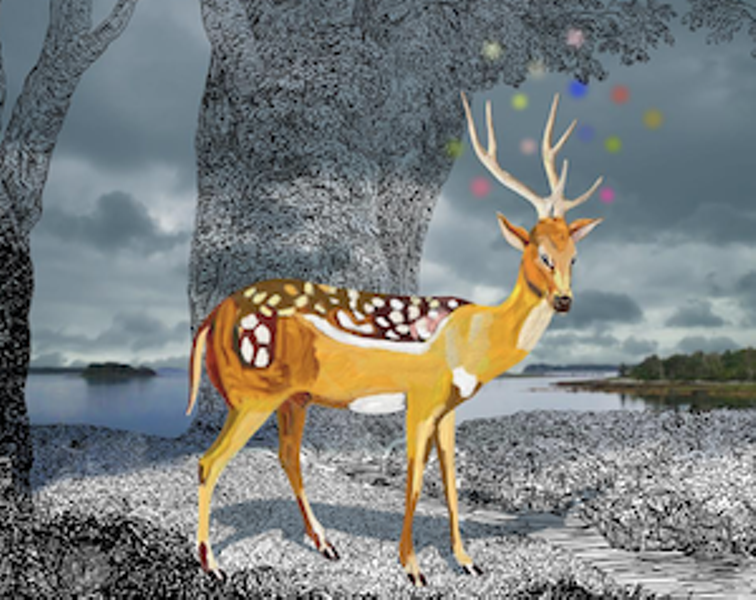 A study of the space where the natural and digital realms meet, Alex Livingston’s deer paintings were fuelled by research of natural history dioramas. "These dioramas create an intriguing tension between the fabricated and the real. Livingston’s new paintings echo these same tensions between the actual and fabricated with a digital trompe l’oeil illusionism of paint marks, textures and references to print processes and photography," the gallery adds.